Volunteering is a powerful act that benefits not only those being served, but those providing the service. As you mold a career identity and prepare yourself for life after college, volunteering can play a key in role in your development. This post will help you explore the world of volunteerism through a closer look at the benefits of volunteering, advice on choosing an appropriate opportunity, and suggestions for where to start. assists you in learning and developing new skills. Employers are looking to hire people who are adaptable and bring with them a myriad of transferable skills from past experiences. allows you to explore career options. Deciding on a job path that is right for you can be complicated. Volunteering is a great way to try out many types of careers. betters your interpersonal skills. Through volunteering, you’ll better understand people and their needs, you’ll learn how to work with and motivate others, and you may have the opportunity to learn how to deal with a difficult situation. connects you with a network of people in your field. The people you meet while volunteering may become mentors, future references, or the link you need to find a future job. 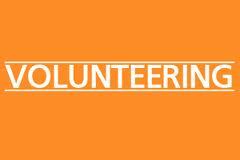 Once you have made the decision to volunteer, it is important be intentional about the type of opportunity you seek. You should first consider your goals, motivations, and values; think about how you would like the experience to better prepare you for your future ambitions. You must also be realistic with yourself and the skills you currently have, seeking out an organization that matches your strengths and interests. Next, you should decide on the amount of time you are able to give to the experience, including the number of hours each week and the duration of time you are hoping to spend (i.e. one month, one term, one year, etc.). When thinking about time, also consider what days of the week work best and what times during those days. Once you are ready to voice your interest to a volunteer coordinator, be honest about the type of experience you are hoping for, but also listen with an open mind. Oregon State University houses an office to specifically aid students in finding the perfect volunteer opportunity. The Community Service Center’s website offers links to volunteer opportunities, hosts events to recruit volunteers, and puts on special projects of their own. There is also a Nonprofit & Volunteer Expo coming up on January 20th where a variety of nonprofits will be present and you can check out their volunteer opportunities. I encourage you to engage in a volunteer experience; you’ll soon find how powerful your work can be. Posted in Career Exploration, Events, International Opportunities, Job Search Strategies, Networking, Uncategorized.